Feeling overwhelmed, disorganized, and stressed out? You are not alone. Living day to day (semester to semester) in this type of chaos takes a physical, mental, and emotional toll. With the right tools and support, you can make changes to make your life easier and more joyful. 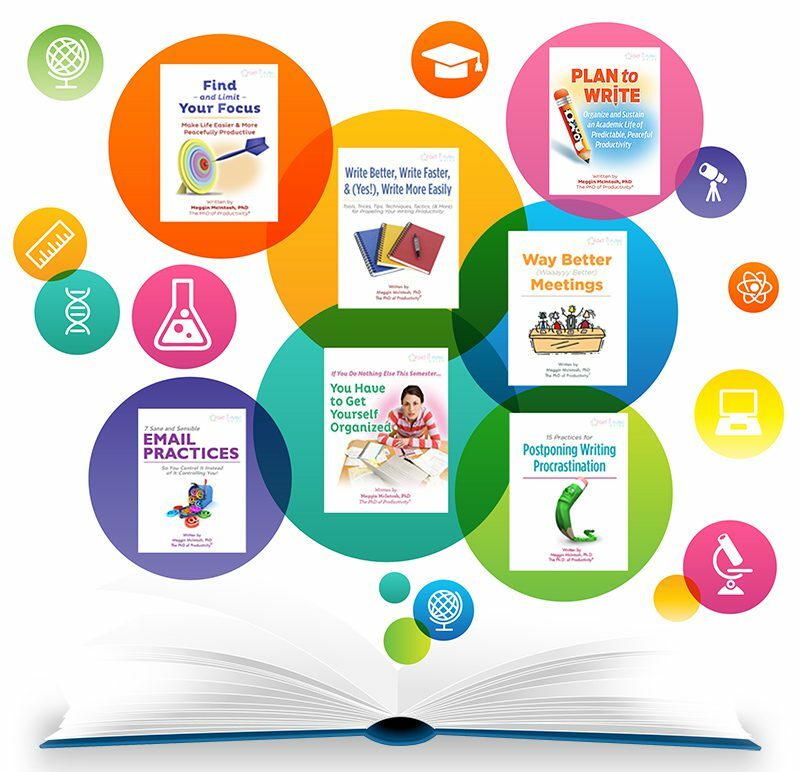 When you access this special Get a Plan Guide® Academic Mini-Bundle you will learn strategies to get you into action right away and without a bunch of muss and fuss. You don’t need muss and fuss! 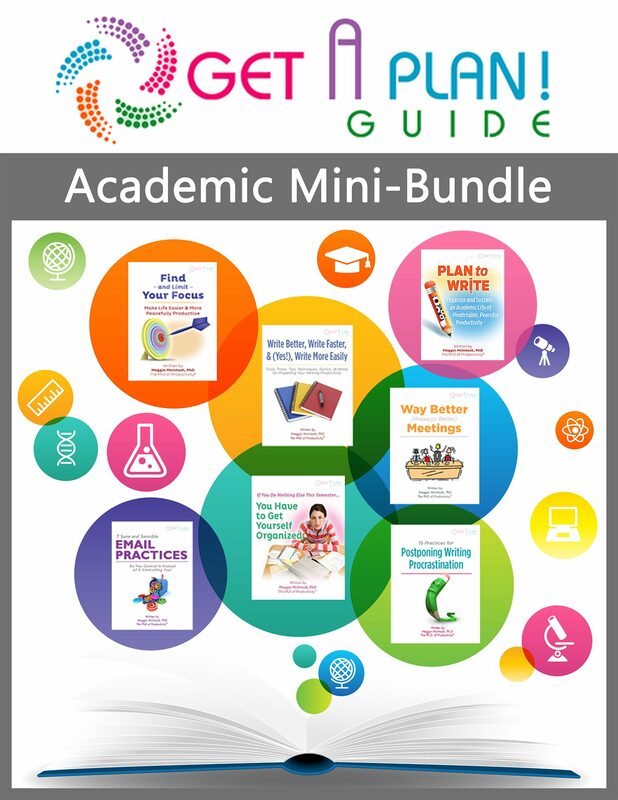 This mini-bundle is specially designed for academics who want to create and sustain peaceful, predictable productivity. Your investment is only $89. Save now and start moving toward more peaceful, predictable productivity in your academic life.